1. Bring the tackiest, lamest present you can find. 3. The first person picks a gift at random and opens it. 4. The next person can either take an already opened gift from someone OR open a new gift. If they take a gift from someone, that person then picks a new gift to open. I just found this at the local 2nd & Charles (an awesome store). It's the tackiest thing I think I'm likely to find. 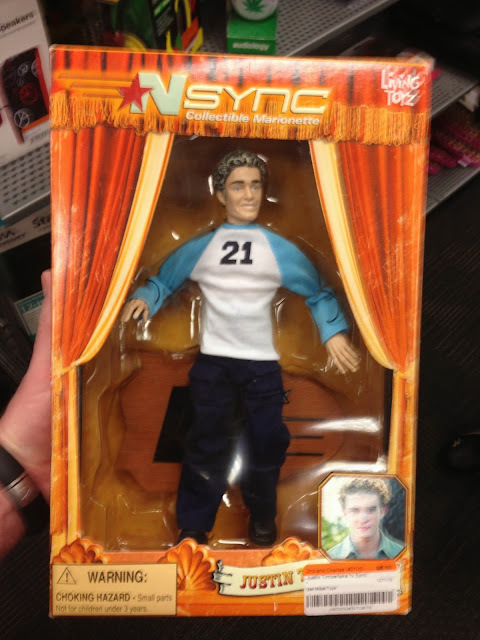 That's right, it's a Justin Timberlake puppet doll. Super cool. Haha! Hopefully, none of my family members reads this blog!